Sad news earlier today as we learned Marvel Studios and Edgar Wright parted ways on their upcoming Ant-Man film starring Paul Rudd, Michael Douglas and Evangeline Lily. 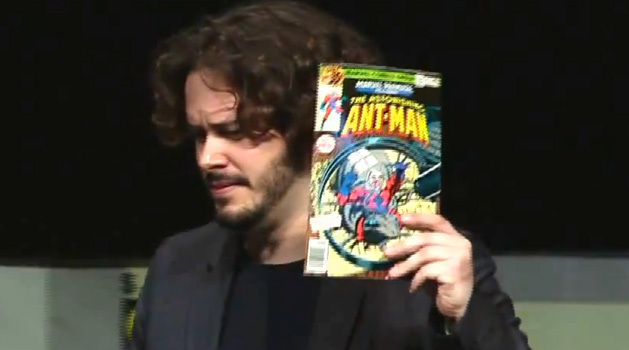 Now I’m sure you’re wondering ‘Who is Ant-Man’ and ‘Why is this so important’. This might seem like a trivial matter, but if you know the history of these two, you’ll know why so many people are shocked by this decision. The story of Ant-Man – or rather the one Marvel is using – is a very complex one. The original Ant Man was Dr Hank Pym, a brilliant biochemist who has the ability to alter his size thanks to his chemical research. 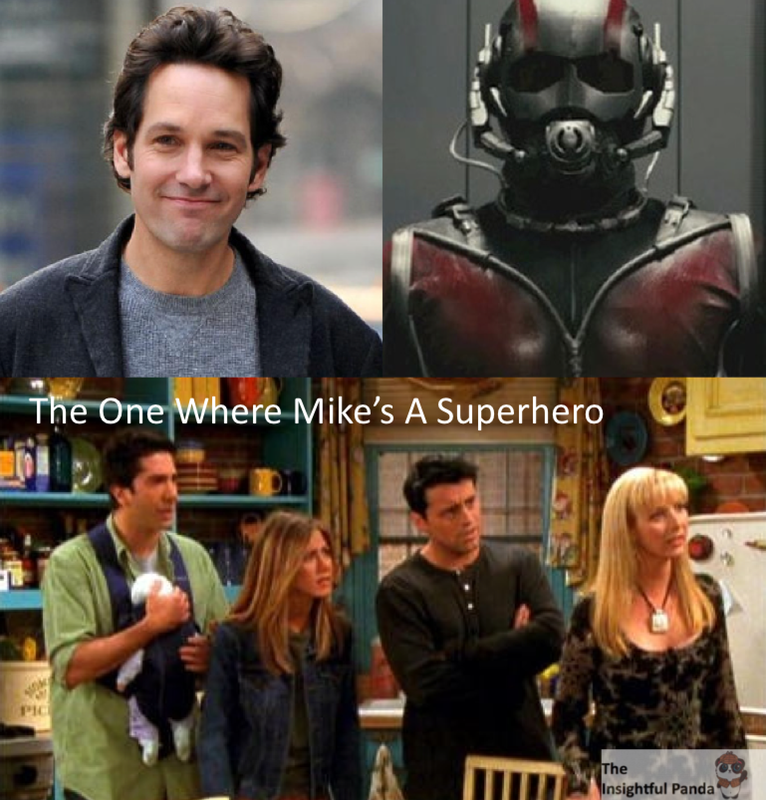 Despite Paul Rudd being cast as ‘Ant-Man’, he actually isn’t Hank Pym. Instead, Paul will be playing Scott Lang, who is a reformed thief who stole Hank’s suit in order to save his dying daughter. Pym later let Lang keep the suit on the condition he use it only for good. Considering Hank Pym is to be played by Michael Douglas and there are rumors Evangeline Lily will be playing Wasp – who is usually Hank’s wife – there will definitely be some difference in the Marvel film. Another key difference is that Pym is usually the creator of Ultron – the villain for the upcoming Avengers 2: Age of Ultron – but most likely isn’t this time around. Though despite these differences, the film is still one of Marvel’s ‘chosen ones’. In fact, Ant-Man was already in development around the time of Ironman (2008). Movie production always has twists and turns. People get replaced; scripts get torn up; it’s Hollywood. Though the reason this news comes as a huge shock is because Edgar Wright has been working on this movie since 2006, which is even before Marvel Studios first film Ironman came out. We’ve been getting fragmented news clippings here and there on this movie and finally we learned in 2012 that it’d be released in 2015, which shocked many people considering how long this film had already been in production. With Wright’s departure from the film, many have to wonder what made the director split after over 8 years of work. The reason given was ‘due to differences in their vision of the film’ – perhaps something Ultron related. Others have even expressed belief that Marvel grew tired of Wright pushing dates back and taking such a slow approach to this whole thing; but again thats just heresay. All we know for sure is that both Marvel and Wright parted amicably and apparently a new director has already been selected – which will be announced in a few days. At the end of the day, Kevin Feige (President of Marvel Studios) has done some great thing, so we should trust his vision and have faith that he’ll be able to handle this curveball as well. Despite all these changes, Ant-Man is still scheduled for its July 17, 2015 release – which is barely a few months after Avengers 2: Age of Ultron. ← Jurassic Park 4 Plot Rumors – The Sharktopus Of Dinosaur Films?